The Real-Time widgets can be an interesting addition to your dashboards. However, since many of us configure our dashboards for periodic delivery by email, it’s important to be aware that the Real-Time widgets don’t appear as such in the emailed dashboard PDFs. Instead, they’re translated to static equivalents. A Real-Time Active Visitors widget, for example, becomes a regular Visits timeline widget in the PDF. 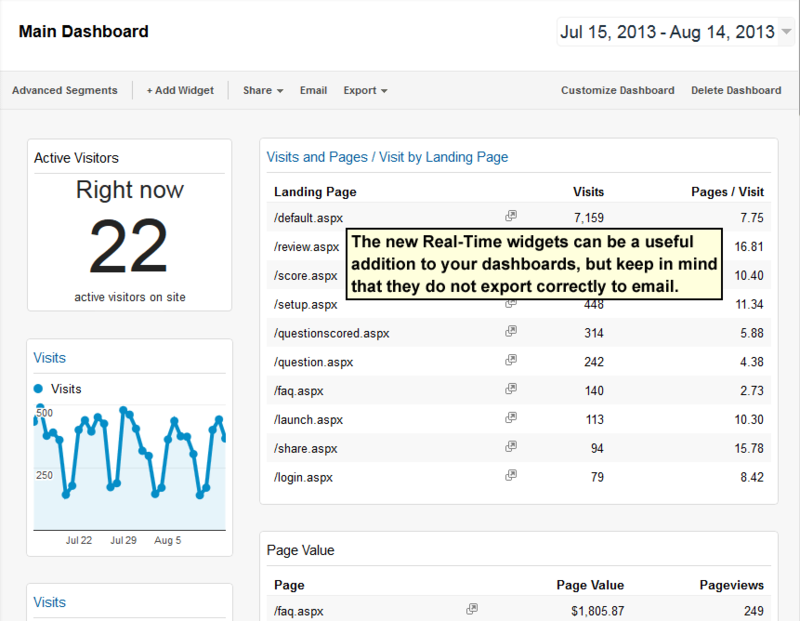 Perhaps the Google Analytics team will eventually incorporate Real-Time capabilities into the emailed dashboard PDFs. 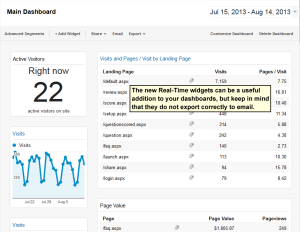 For now, we can enjoy Real-Time widgets while viewing the dashboards directly within Google Analytics.